If you haven’t had yogurt toast before, you’re in for a real treat with this one! PB Toast has been one of my breakfast staples for as long as I can remember… I’ve been eating it for so long that I can recall my mom making it for me day after day before I headed off to school as a youngster lol. Anyways, I’ve always been a toast in the AM type of gal. I’m also sure to include protein with my toast. To share another something about my mom… she was huge on us having protein for “brain power” before school haha. I guess that stuck with me. I’ll do a protein shake, eggs or greek yogurt with my toast, which is what made me think to top my toast with… yogurt! It then evolved into adding chopped fruit, shredded coconut and chocolate because why the heck not haha. This is just a personal little goal of mine… I’ve also been trying to add in extra beneficial foods like flax to my smoothies or in this recipe, I added acai powder. If you want to stretch yourself to try it too, go ahead! But, this recipe is still great without it! Toast bread lightly. Spread yogurt mixture between slices. Top with strawberries, chocolate and coconut. In a small bowl, whisk together the yogurt and acai powder. JOIN THE MEAL PLAN TODAY! Easy-to-follow guidelines, 100’s of recipes, exclusive meal plan member emails, and all future updates for free (get the brand new Warm + Toasty Cookbook instantly)! struggle to stay healthy over the holidays. But, not us!! to it’s lovely pumpkin orange color…tumeric took the vote! together in just minutes, so you can grab it and go first thing in the morning! Or even anytime during the day!! almond milk, puree, yogurt, turmeric and salt in a medium bowl. or heat briefly in a microwave to desired temperature. of a blank canvas. Do you like cinnamon? Add some in. Do you want some berries? Add some blueberries in. Are you craving some greens? Add a handful of baby spinach like I did. about this smoothie… the color matches the beautiful fall landscape! in a blender with some ice. Blend until smooth. new as well as keeping them budget-friendly! ingredients. Stir very well to mix. until a toothpick inserted into the middle comes out clean. cutting. Cut into 9 bars. week if stored in a plastic container in the refrigerator! how adorable these would be as mini-quiches?! Mini-quiches it is! And, they’re so practical for a meal prep! These are perfect to reheat when you’re running out the door. They’re so cute that they make me want to host a fancy little brunch to serve these on a platter. They can be easily doubled or tripled. They’re a little spicy from the cayenne, but if you don’t like heat – feel free to leave that out. Place potatoes in a small microwave-safe bowl, and microwave on low for 1 minute. You just want to get the chill off them. Add the salt and pepper, and stir well. Press the potatoes into the bottom and up the sides of the muffin tins. Bake for 10 minutes, or until lightly golden. In a medium bowl, whisk together the eggs and almond milk. Add the cheese, tomatoes, onion, cilantro and cayenne (you could use other veggies and seasonings to switch up this recipe). Divide the mixture between the tins. Return the muffin tin to the oven and cook until the eggs are set, about 25 minutes. They’re done when you insert a toothpick into them and it comes out clean. Let cool for a couple of minutes before removing from the tins. Get the easy-to-follow guidelines, 100+ recipes, exclusive emailed recipes, and all current and future updates for free! So many of you have been asking for more grab and go food options. Breakfast is almost always a meal I eat on the fly as I’m sure it is for you too! Still, it’s so important that meal 1 aligns with the Eat Your Way Lean guidelines to give you energy and keep you craving-free all day long! easier to make, and they’re incredibly delicious! but use whatever herbs you really enjoy. 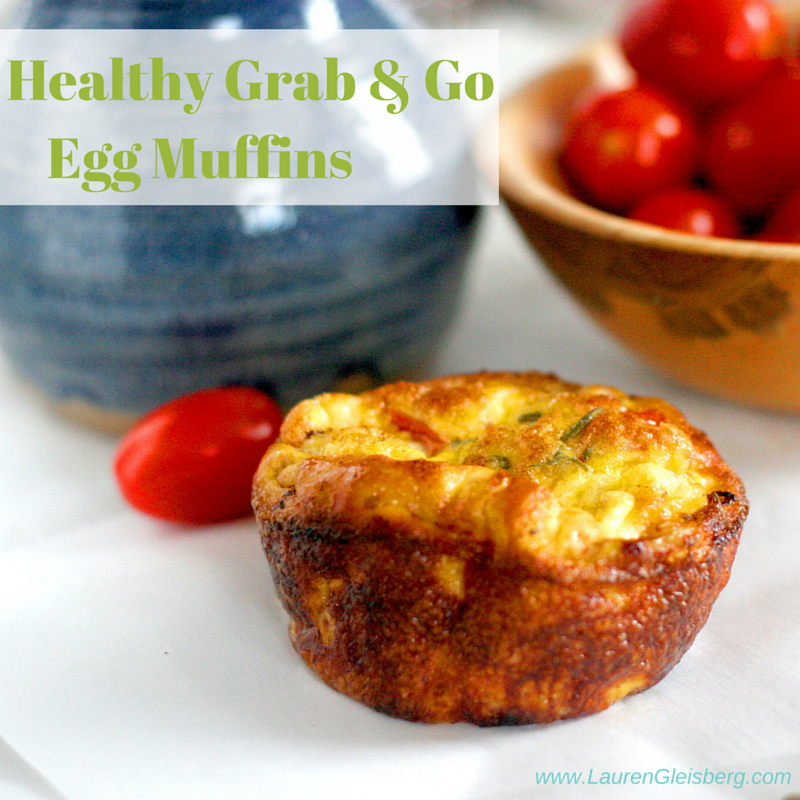 PS – I’m also a huge fan of “breakfast” for dinner and these muffins are perfect for any time of the day! rosemary, salt and pepper. Stir well to combine. golden brown and cooked through.